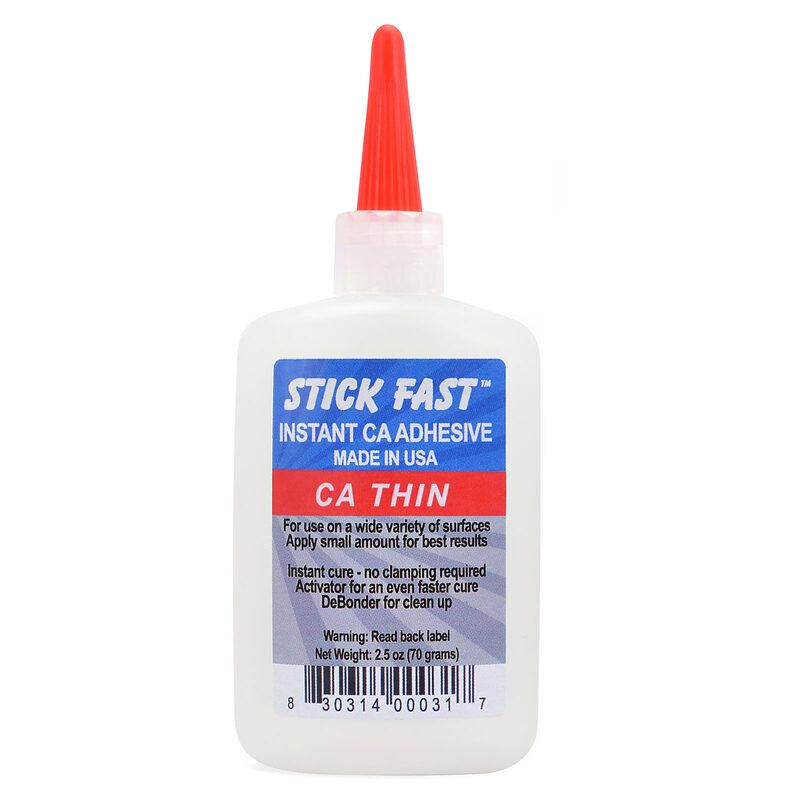 Quick setting thin viscosity CA glue instantly bonds a wide variety of surfaces. Apply a small amount and hold together for a few seconds until the bond takes hold. For even faster setting, use the 'Kicker' listed below. 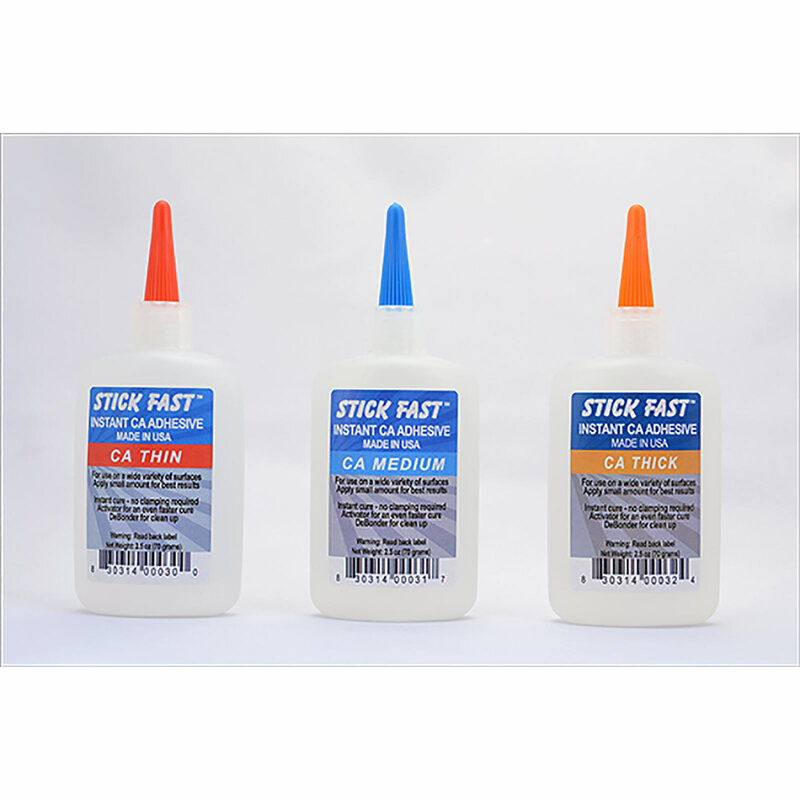 2.5 oz bottle includes fine tip applicator.